Reviewed by Chris Arnsby. John Peel: "Hail Reptilicus. Come you from our legions in Gaul?" David Jensen:"Get off! It's Top of the Pops. And here's Freeez to kick off with Pop Goes My Love. Let's get down." Freeez: Pop Goes My Love. October? Already? The autumn nights draw in so quickly. John Peel and David Jensen have raided the BBC dressing up box for Roman gear; they've also been cowboys and gangsters in1983. If the pair can sneak into the Doctor Who costume box they can dress up as Sea Devils, or the big snake from Kinda. Freeez are rubbish. They've annoyed me by having a name that's difficult to type; variations I've managed in the last ten minutes include Freeze (obviously), Freez, and Frezee. I refuse to do any research on Frieze. It's more charitable to assume that they're a stray Euroband dragged across the Channel in the wake of Ryan Paris. The lyrics of Pop Goes My Love show all the signs of hasty translation from Estonian. It's like taking a romp through the big book of pop clichés. "After living with you for years and years/Through loving and hating, through laughter and tears/A change in the weather, a calm before storms/Without any warning, the dark before dawn." And that's just the first verse. The chorus starts "one, two, three," and a nation waits with bated breath to hear what comes next. "Four, five, six." Bah! I dismiss thee Frrzze. Back to San Marino with you. No they weren't. Fake facts ahoy! They were probably about the 22nd band to do so. Over the years adverts for confused.com have evolved becoming gradually less chirpy and artier. The last set of ads featuring James Corden and the slogan “that’s a driver win” seemed like an attempt to combine the two but now that has gone and is replaced by something altogether more brooding. A driver navigates the confused.com Mercedes through what could be a post- apocalyptic cityscape as the voiceover complains about having too much choice. We see such modern signatures as fake news, “experts with no expertise” and a supermarket with rows of identical products while dust blows around the vehicle. His slow journey is accompanied by the “Forever Dolphin Love” by Connan Mockasin. Eventually our driver steers the car out onto the open road and towards the Sun heralding the slogan “Don’t be confused. Be confused.com” over the opening notes of Link Wray’s `Rumble`. It is often interesting to check in on long running programmes that are considered past their prime. 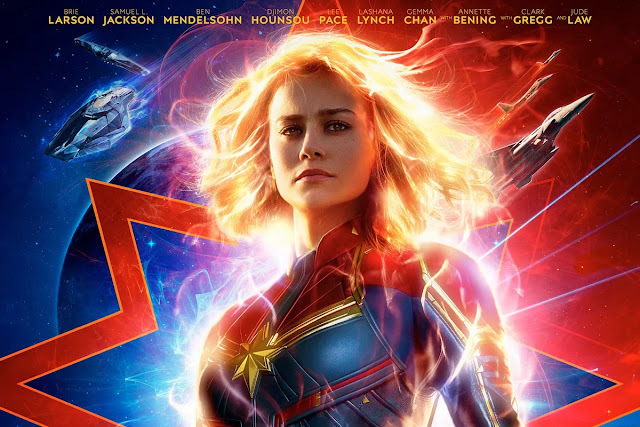 While not always the case it can turn out to be that a rejuvenation of sorts has occurred away from the white heat of over expectation and though it is early days yet I can sense this year’s series of The X Factor is headed that way. The format is solid gold yet the process has been tinkered with every time in recent years and the impression is desperate ratings chasing decisions have been made mostly to try and keep up with Strictly Come Dancing which when you think about it a wholly different show with celebrity contestants. The strength of The X Factor is that these are members of the public competing and in recent years that strength has not been used to its best advantage. # Bus stops are located in places where anyone waiting will have to put up with maximum rain, wind or Sun. Tellingly they stopped calling them bus `shelters` some years ago. 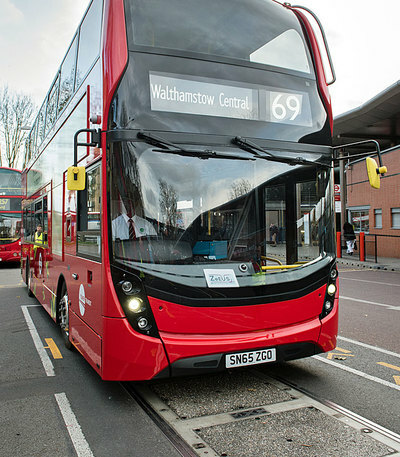 # Bus timetables are merely there to reassure passengers. They bear no relation to the actual time a bus might show up. When they do show up they are in pairs meaning double the wait for the next one. # A bus will go past the stop if you don’t make some attempt to flag it down. It will also go past if there is another bus there even if it’s a different route. There is no point whatsoever trying to run after a bus to get it to stop though people do try and sometimes flap so much they might take off and therefore end up overtaking the bus! # Each generation of people is slightly taller. Each new set of buses has smaller seats. Should both these trends continue there will eventually be a pivotal moment when some people are too tall to fit onto the bus at all. Reviewed by Chris Arnsby. Mike Read: "Hello chums. Welcome to Top of the Pops. Listen, it's bad enough us having to work together on the radio in the mornings, but we're stuck with each other on Top of the Pops now as well." Simon Bates: "Looks like being a good evening, though. 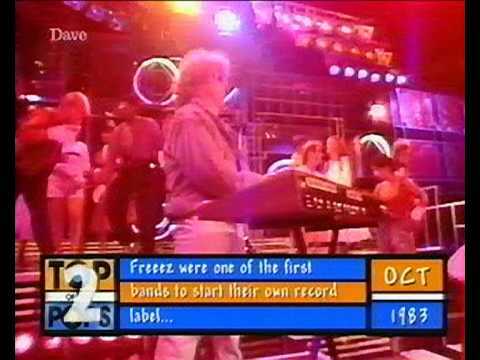 Here's our first on Top of the Pops. It's Howard Jones, New Song, for the very first time. Over there." Howard Jones: New Song. Bad news everyone. This isn't a live edition of Top of the Pops so Simon Bates refuses to tell us the time. It's 7.30pm for anyone worried. On stage Howard Jones is joined by the Answer Prancer from Brass Eye or maybe it's just any old passing dancing fool who has painted their face, stripped to the waist (the top half), and donned plastic chains. It's deeply symbolic. (John- It’s Jed of course. Everyone knows Jed.) 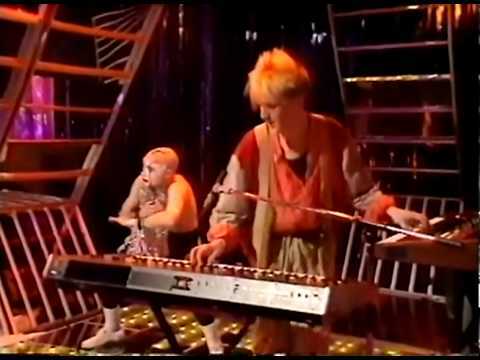 "I don't want to be hip and cool," sings Howard Jones as he abandons the synthesiser to dance in front of it in an uncool way (and yet somehow the music keeps going). The Answer Prancer is the real star of this performance. By the end of the song he has undoubtedly cast off his mental chains, but not his physical plastic ones. Which is odd because they look like they'd just snap off. UK politics has become a very unpredictable place these last few years but it strikes me that there is a big opportunity now for the Liberal Democrats to step up and provide what a still large number of people in the country want- a middle ground political party. Otherwise who are we going to vote for at the next General Election? The Conservative’s free market and austerity package or Labour’s Seventies throwback unaffordable socialism? Neither appeal to many and those with slightly long memories may recall when there was an alternative to the big two. In a post Brexit landscape there will a big gap for there to be again. The group who tried to bring back Swing! Roman Holliday! Anyone who’s seen the BBC4 Top of the Pops 1983 repeats will surely have noticed Roman Holliday. In an era replete with classic pop, this group were on fire for a relatively brief time yet they burned so strongly. Named after a 1953 romantic comedy film starring Audrey Hepburn, the Holls (as I’m sure pop mags of the day would have dubbed them) first hit public attention with `Don’t Try To Stop It` a brilliant collision of pop and Swing. The 7 piece threw everything into the song and their performances of it. That’s Roman Holliday for you- they did everything at double speed including racing through their career in a handful of years. They were perfect pop- a great idea, a great look, a great sound. Why weren’t they bigger? Reviewed by Chris Arnsby. Peter Powell: "Hello Everybody! Welcome to the biggest pop party in Britain! It's Top of the Pops of course!" Andy Peebles: "Good to have you along. Let's get straight under way with a record that I reckon could be big at the CUC conference in Blackpool. Heaven 17 are in the chart with Crush By The Wheels Of Industry." 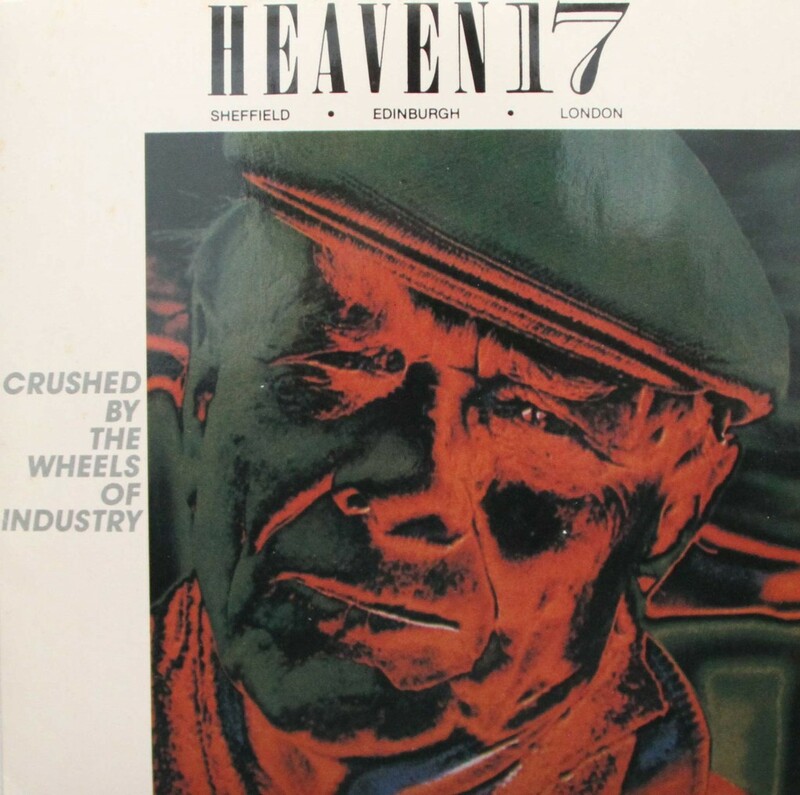 Heaven 17: Crushed By The Wheels Of Industry. Andy Peebles is having a bit of an off day; CUC conference should be TUC conference; and he's dropped the -ed from the end of the word crushed. These mistakes are dutifully logged by the person writing the BBC4 subtitles, which is odd because previous Top of the Pops subtitles have reflected what the person should have said, rather than what came out of their mouths. Presumably the subtitling policy is that there is no policy, and it varies depending on who is doing them. The lyrics of this Heaven 17 song are a bit all over the place. Are they for or against people being crushed by the wheels of industry? The lead singer has a beaming smile on his face so I assume he's pro crushing? One of the dancers behind Heaven 17 does some robot dancing which fits with this song. His name is Phillip Tan, and more on him later. 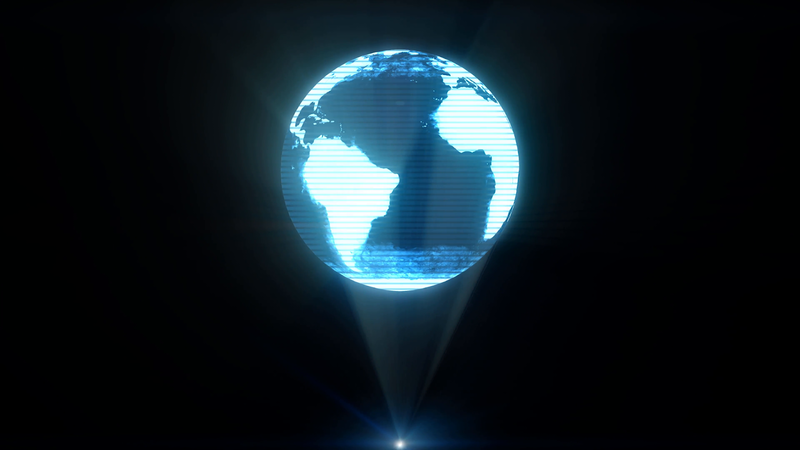 Often during films and tv set in the future a character wants some information so they bring up a holographic display that floats in the air in front of them. They can swipe these displays in either direction to move on to the next bit. We’ve been seeing this so often and for a number of years in fiction but will we ever see it in real life? At the moment people are relying increasingly on having everything they could possibly need for a day in their smartphones. From social media to paying bills to ordering drinks to unlocking security doors to watching films there isn’t much a smartphone can’t do nowadays. However everything happens on its screen. Will there be a time when visual information escapes from the physical confines of the phone and appears in the air? They’ll probably call it a Holophone.